WILMINGTON, Del. — Laquita Gardner, a sales manager at a furniture rental store here, was happy to get a raise recently except for one problem. It lifted her income just enough to disqualify her and her two young sons from Medicaid, the free health insurance program for the poor. She was relieved to find another option was available for the boys: the Children’s Health Insurance Program, known as CHIP, that covers nearly nine million children whose parents earn too much for Medicaid, but not enough to afford other coverage. But CHIP, a program that has had unusually strong bipartisan support since it was created in 1997, is now in limbo — an unexpected victim of the partisan rancor that has stymied legislative action in Washington this year. Its federal funds ran out on Sept. 30, and Congress has not agreed on a plan to renew the roughly $14 billion a year it spends on the program. 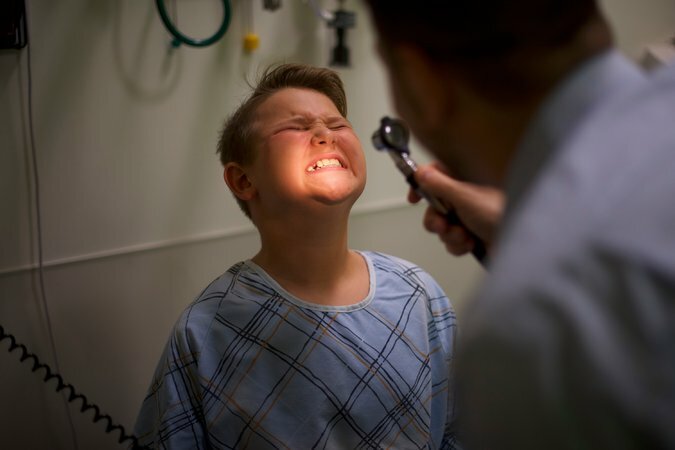 “I’m kind of shocked, because this is something for kids,” Ms. Gardner said Thursday as her 7-year-old, Alexander, braced for a flu shot at a bright, busy neighborhood clinic run by the Nemours Children’s Health System. 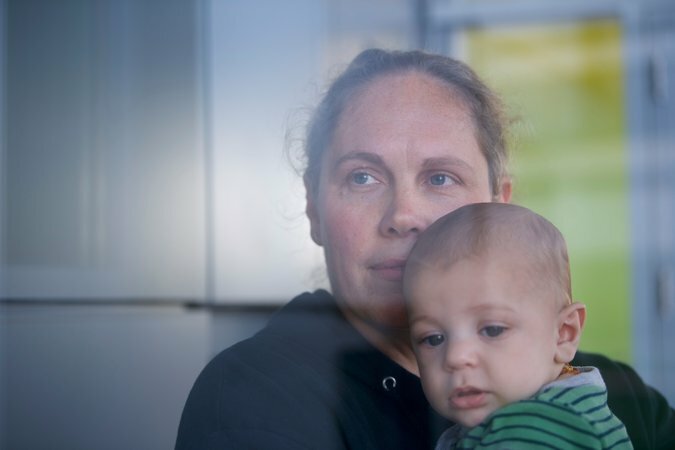 Ms. Gardner pays $25 a month for her sons’ CHIP coverage, with no deductible or co-payments. Congressional leaders may provide some temporary relief to a handful of states that expect to exhaust their CHIP funds before the end of this year. It would be tucked into a short-term spending bill intended to avert a government shutdown after Friday. Lawmakers from both parties hope to provide more money for CHIP in a separate, longer-term deal on federal spending. But Republicans will almost surely need Democratic votes to pass such legislation, and the antagonism between President Trump and Democrats in Congress is so great that no one can be sure of the outcome. The uncertainty has been unsettling to parents, pediatricians and state officials around the country. States are weighing whether to freeze enrollment in CHIP, shut down their programs or find money from other sources. Last week Colorado sent letters to CHIP families, advising them to start researching private health insurance options because there was “no guarantee” that Congress would continue the program. Texas has drawn up a detailed “termination timeline” under which the state could begin mailing insurance cancellation notices on Dec. 22, three days before Christmas. Here in Delaware, health officials anticipate running out of money for CHIP at the end of January if Congress does not act. Members of both parties in the House and the Senate agree that Congress should provide money for CHIP for five years, through 2022. But they disagree over how to pay for it. In early November, the House passed a bill to extend the CHIP program. But most Democrats voted against it because the legislation would have cut funds for other public health programs and ended insurance coverage for several hundred thousand people who had failed to pay their share of premiums for insurance purchased under the Affordable Care Act. In the Senate, senior members of the Finance Committee say they have been making progress toward a bipartisan deal on CHIP, but they have been preoccupied for several weeks with their tax bill. The committee approved a five-year extension of funding for the program in early October, but did not specify a way to pay for the measure. As Congress dithered, Minnesota received an emergency infusion of federal funds to continue CHIP for October and November, but is expected to be the first state to run out of federal money for the program. Emily Piper, the commissioner of the Minnesota Department of Human Services, said the state would use its own funds to fill the gap temporarily. 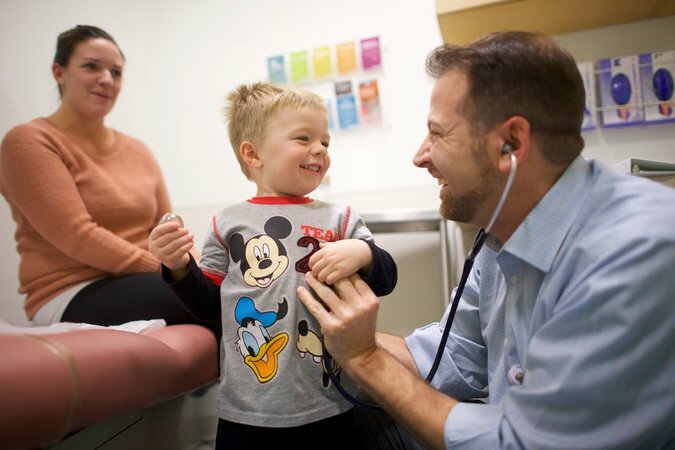 Oregon, which expects to exhaust its federal CHIP funds this month, will also use state funds to continue coverage, said Gov. Kate Brown, a Democrat. “As Congress rebuffs its responsibilities, it is up to us, Oregonians, to stand up for our children,” she said. Colorado was the first state to send warning letters to families with CHIP coverage. “We felt it was important that folks covered by CHIP understand what’s happening,” said Marc Williams, a spokesman for the state Department of Health Care Policy and Financing. In Texas, more than 450,000 children could lose CHIP coverage on Feb. 1 unless the state can obtain $90 million. Even if it comes through, supporters of the program worry about the effect of cancellation warnings. Democrats said Congress should have provided money for CHIP months ago, but that Republicans had placed a higher priority on dismantling the Affordable Care Act and cutting taxes. “Because Congress failed to do its job — a bunch of elected officials who have insurance paid by taxpayers failed to do their job — children here in America are about to be kicked off of their health insurance,” said Senator Sherrod Brown, Democrat of Ohio. 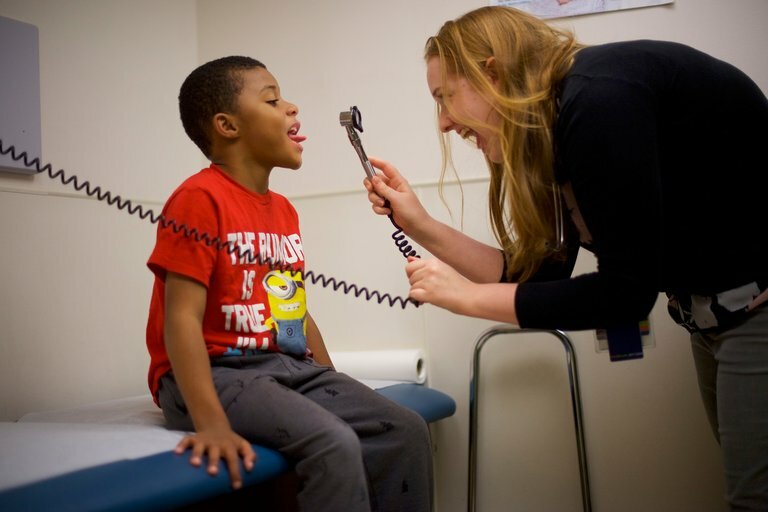 Doctors at the Nemours/Alfred I. duPont Hospital for Children, here in Wilmington, were continuing to see CHIP patients last week at the flagship of a system that treats 15,000 children with CHIP coverage each year. Dr. Jonathan Miller, chief of the system’s Division of General Pediatrics, said many receive therapy for developmental delays and treatment for chronic conditions like asthma and obesity. Research has also found CHIP increasingly helps people whose employer-provided insurance is too expensive for their entire family. Ariel Haughton, a mother of two in Pittsburgh, said it would cost more than $100 more a month to put her two children on the plan her husband gets through his job as an apprentice plumber, which also requires them to pay a high deductible before the coverage kicks in. Without CHIP, Ms. Haughton said, she might have delayed visiting the pediatrician this summer when her daughter had a fever and rash that turned out to be Lyme disease. Olivia Carrow, who had brought her 2-year-old to the children’s hospital here to test for an infection, said her other three children were newly uninsured and she had heard they might qualify for CHIP. The 2-year-old, William, qualifies for Medicaid because of a serious condition that causes his trachea to collapse. The rest of the family had insurance through Ms. Carrow’s job as a nurse, but lost it after she cut back her hours this fall. She and her husband started a chicken farm this year and delayed exploring other coverage options, she said, partly because of the protracted fight in Congress over proposals to repeal the Affordable Care Act.